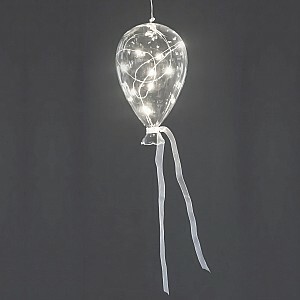 Here you can find beautiful glass balloons. 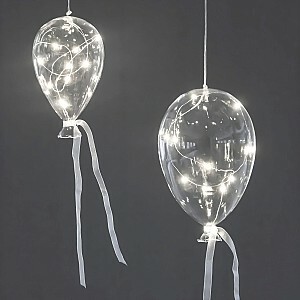 Lovely balloons to hang up several together and decorate, for example. above a table for festive occasions or out in the garden. Available in many different colors and sizes. Some have LED-lighting with a light chain inside. Height 18 cm, Ø 10 cm. Height 22 cm, Ø 14 cm.